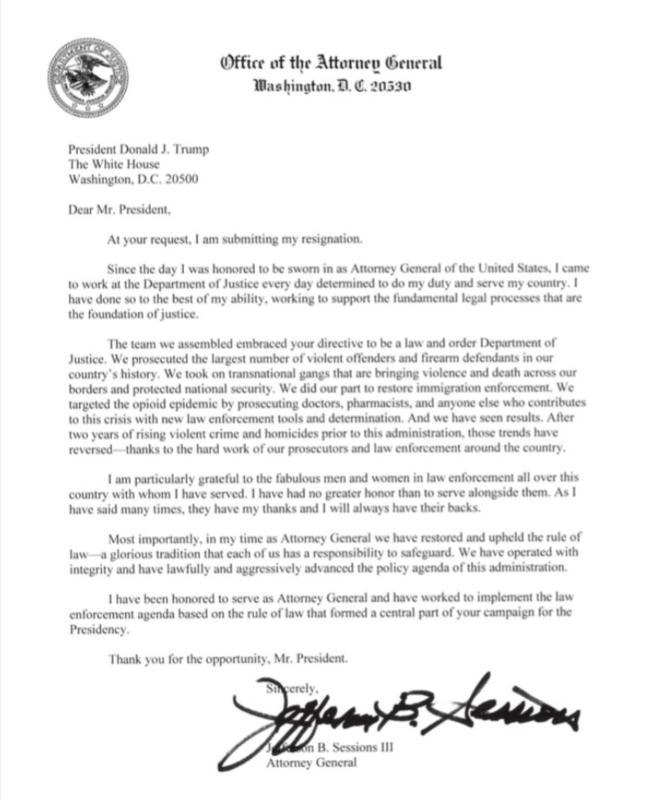 AG Sessions Resigns At Trump's Request! 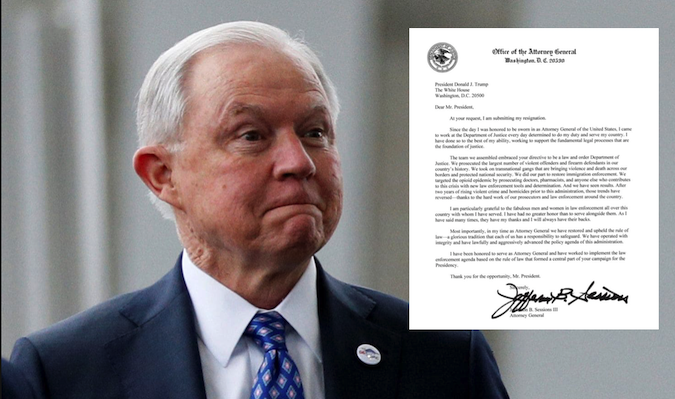 AG Sessions Resigns At Trump’s Request! Jeff Session’s has tendered his resignation as Attorney General at Pres Trump’s request! This is good news for the administration and American’s as Sessions has sat idly by while crimes continued to be committed by Deep State actors, laws broken, and unindicted felons remain free and clear due to his clear incompetence. Sessions is by far the biggest disappointment to come out of Trump’s presidency. He should have never accepted the position knowing he would recuse himself from the democrat cooked up Russian conspiracy, where he ceded his power as AG to Rod Rosenstein, who is knee-deep in the Uranium One scandal, among others. The question we need to ask is will Rosenstein be ousted now that Sessions is out? Will Mueller investigation witch hunt finally come under control and completed seeing that nothing has really come of it except wasting taxpayers dollars and trashing POTUS? Who will replace Sessions? POTUS should NOT select a sitting member of the House or the Senate. We saw how badly that turned out with Sessions becoming AG, where we not only got a LOUSY AG, but his Senate seat was lost to the democrats. Trump cannot afford this to happen again, he must select someone on the outside. With the democrats running the House for the next 2 years, vowing to go after POTUS, it’s safe to assume, per Trump’s request for his resignation, POTUS is seeking a WARTIME Consigliere to run the DOJ. The dems want to go to war with him, that’s what they’re going to get now that Sessions is out!